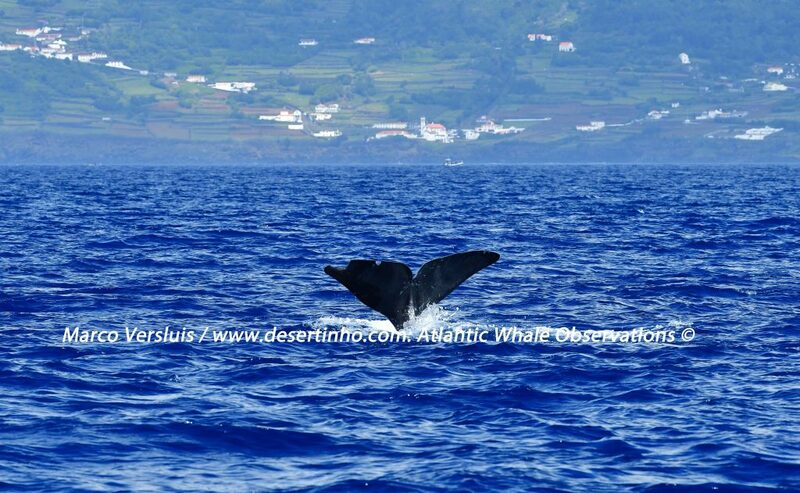 Desertinho Atlantic Whale observations - Whale Photo-ID. 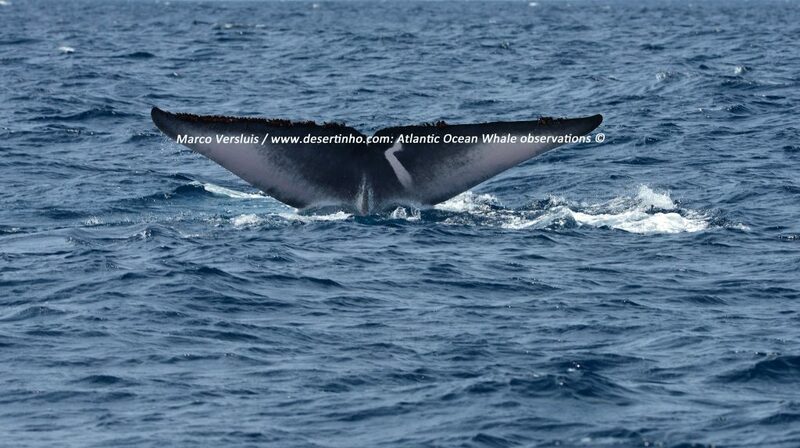 Desertinho Atlantic Whale observations annually joins several international Whale Photo-ID projects Oceanwide. Thats the reason why Desertinho owns a great database of several whale species like: Sperm whales (Physeter macrocephalus), Humpback whales (Megaptera novaeangliae), Common Fin whales (Balaenoptera physalus), Bryde’s whales (Balaenoptera edeni), Blue whales (Balaenoptera musculus), and Sei whales (Balaenoptera borealis). Desertinho Atlantic Whale observations shares their data and information together with other Whale Photo-ID compagnies all over the Oceans. We already achieved lots of ultimate results, and several times, to identify all these whale species as mentioned before. Desertinho’s Whale Photo-ID project gives important information about: Whale migration routes, the age of a whale, whale behaviour, and whale feeding patterns. So, If you have photo’s off whale flukes, whale dorsal fins, whale spots, or specific scars, please send them to us by email to Desertinho and we will let you know if youre whale has a match within one of our databases. Desertinho Atlantic Whale observations werkt jaarlijks mee aan diverse internationale Walvis Foto-ID projecten op de Atlantische Oceaan. 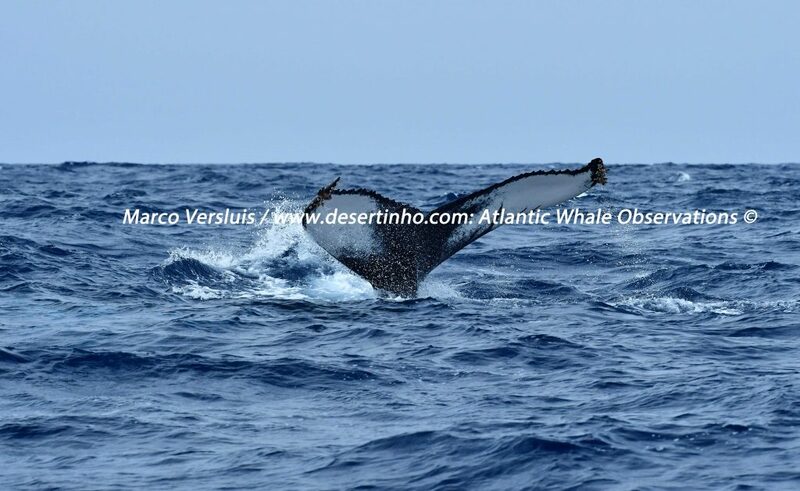 Desertinho Atlantic Whale observations heeft hierdoor een grote database opgebouwd met belangrijke informatie over diverse walvissoorten zoals: Potvissen (Physeter macrocephalus), Bultruggen (Megaptera novaeangliae), Gewone vinvissen (Balaenoptera physalus), Bryde’s walvissen (Balaenoptera edeni), Blauwe vinvissen (Balaenoptera musculus) en Noordse vinvissen (Balaenoptera borealis) . Desertinho deelt deze data, en informatie, met andere Walvis Foto-ID onderzoekers wereldwijd. Het Walvis Foto-ID project geeft ons belangrijke informatie over: Walvis migratie routes, de leeftijd van de walvis, walvis gedrag, en walvis voedings patroon. Tot slot, heb je foto’s van de staartvin, rugvin, voorvinnen, of specifieke vlekken van een van deze eerder genoemde walvissen stuur deze dan naar Desertinho en dan laten we je weten of er een “Walvis match” is met de gegevens uit een van onze databases.